We all know that ethical and compassionate eating is all about sacrifice. YEAH RIGHT! Vegan Treats founder, Danielle Konya, blew that dessert fallacy out of the water long ago with the creation of her first Peanut Butter Bomb cake. As an ethical vegan, Danielle set out to make a vegan cake that didn’t just taste good, but actually tasted better than any other cake, vegan or otherwise. For the last twenty years, her desserts have won the hearts of pretty much everyone with functioning taste buds. In fact, the very lucky residents throughout the Tri-State area as well as surrounding areas of Washington, DC, anxiously await her deliveries at local restaurants and cafes each week. While her desserts have earned her many awards and a lot of national and international recognition, Danielle’s main motivation remains in helping animals. Emphasizing that they inhabit Earth with us, not for us. Clearly, there’s nothing appetizing about the needless suffering of billions of animals a year for their flesh, milk, eggs and other byproducts. And there’s really nothing tasty about aiding in the destruction of our environment for dessert. 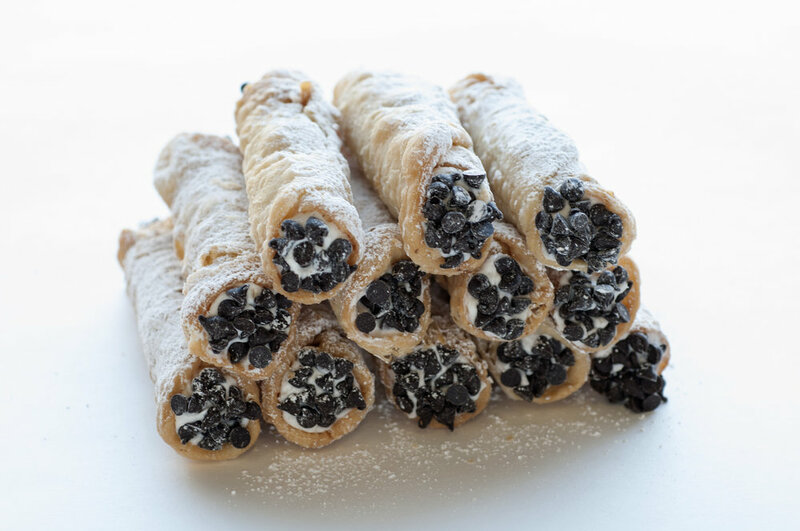 Vegan Treats follows the cruelty-free path and satisfies both the palate and the conscience, inextricably linking the business of dessert with the ethics of caring about animals. Danielle always says, “Compassion starts with your fork”. In a small but meaningful way, with each bite you take of delicious Vegan Treats we are one step closer to a more ethical and humane way of living. Luckily for us, compassion has never tasted so delicious. 2 layer | Cake: Chocolate cake | Filling: Light and fluffy vanilla frosting | Finished: Light and fluffy vanilla frosting. 2 layer | Cake: Banana | Filling: Heavenly cream cheese frosting | Finished: Light and fluffy vanilla frosting. 2 layer | Cake: Coconut | Filling: Light and fluffy vanilla frosting. Finished with light and fluffy vanilla frosting and coasted in coconut shreds. *Additional charges for gluten-free, fresh fruit, glazing and custom designs. Sheet cakes are available in most cake flavors. Please email info@vegantreats.com to inquire about Wedding cakes and desserts. Interested in a custom cake? Click below for more information. $29.95 | 9" pie crust, serves 8. Fruit pies are based on availability. $2.50 each | $30 per dozen | Please call 48 hours in advance with all doughnut orders. Pre-order by the dozen only. Please call 48 hours in advance with all buns orders. Pre-order by the half dozen only. If you have a wedding cake inquiry then congratulations are in order! We are here to make your special day a little sweeter. The best way to get started planning the wedding desserts of your dreams is to contact our wedding coordinator at info@vegantreats.com. 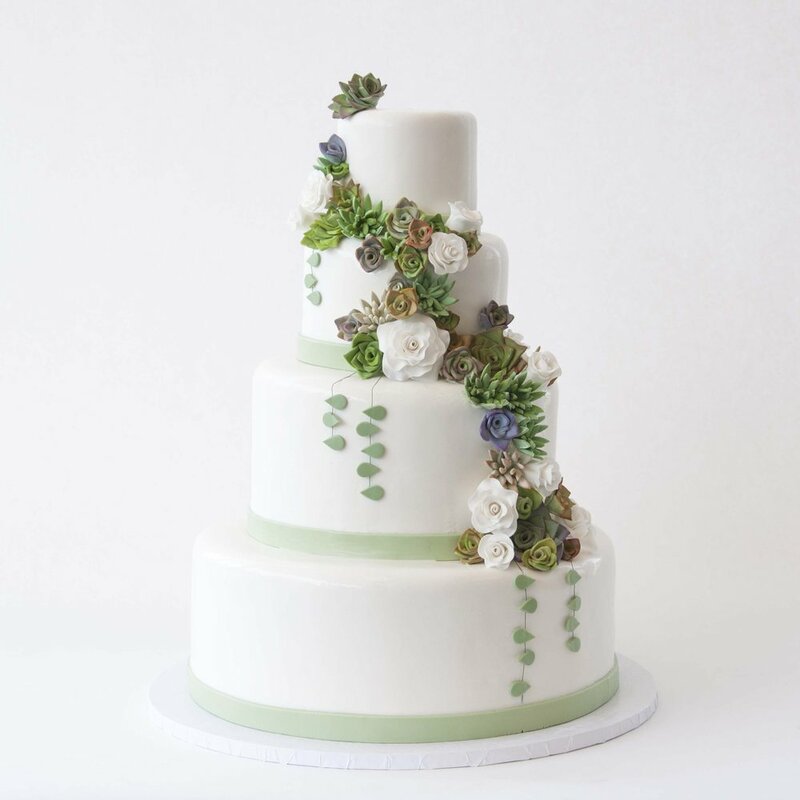 We will help you plan the perfect cake for your special day! Schedule a tasting session and talk about all the details while sampling decadent and flavorful cake options. Our custom cakes start at $8 per serving. The final price is based on cake flavor, design and delivery. Yes, we schedule tastings every Saturday from 10am- 3pm. You will meet with one of our renown pastry chefs to go over details and design while tasting up to 5 cake flavors. 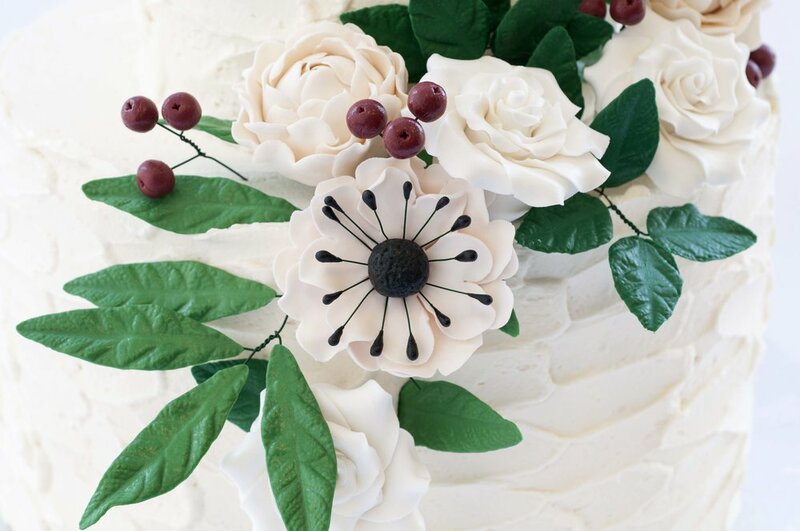 The fee is $50 and will become your deposit should you choose to have Vegan Treats make your wedding cake or wedding desserts of your choosing. Do you deliver? What is the cost of delivery? Of course. It’s our job to make your day as stress-free as possible. We will deliver your cake to the location of your choice. Delivery costs are based on mileage and we can easily give you a price once we know the location. The best way to review the variety of cake flavors we offer is to take a look at our menu. The cakes listed under Vanilla Bean, Chocolate and Other Flavors can be part of a tiered wedding cake. Do you offer gluten-free wedding cakes? Yes, of course! If you can dream it, we can make it.